When it's hip to be square, you'll don these amazing Dabakarov drop earrings to elevate your style. 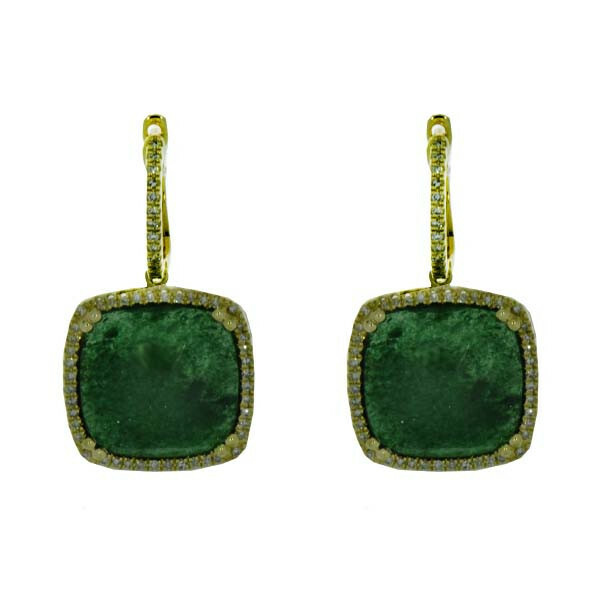 Set in 14kt yellow gold, a square Indian jade gemstone has a frame of white diamonds around the edge, and they dangle from French wires that are also embellished with diamonds. This set of Dabakarov earrings will definitely be crowd pleasers.